To find an ideal hot tub or swimspa for your home in the capital you must talk to a London company, London Spas and Hot Tubs, a specialist supplier based in Mill Hill, North West London, close to Hampstead and Totteridge. 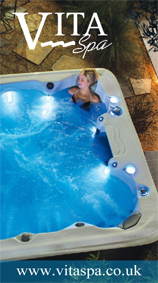 They offer expert advice on portable and commercial hot tubs and swim spas from a display site that features working models, as well as sauna and steam rooms. London Spa and Hot Tubs also serve Hertfordshire and provide a friendly advice and free site survey, if you chose to purchase you will find their professional after care service a delight as they really are the London hot tub experts.